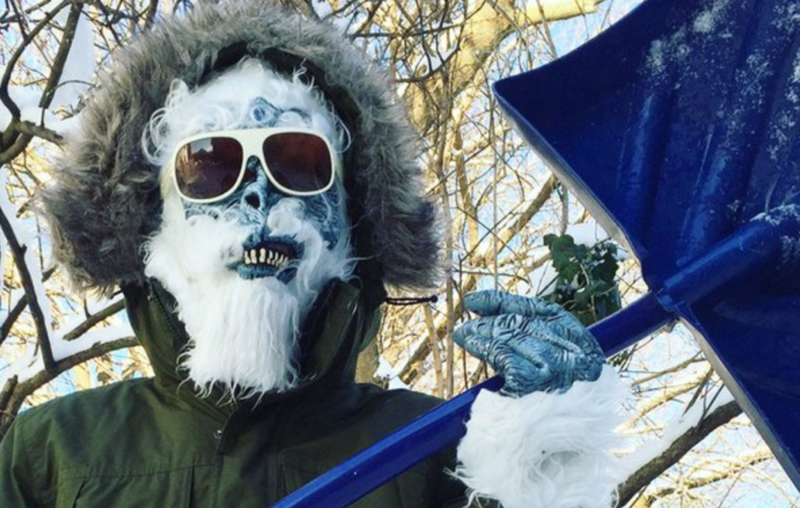 The Yeti already busted out his shovel in anticipation for winter storm Jonas. All he’s missing is some appropriately-sized gloves. The Yeti first appeared last year during the snowpocalypse of 2015, when he roamed around the abandoned, frost-covered streets of Boston at night when the city was met with record-breaking amounts of snow. After shooting into stardom, he went incognito during the warmer months. But now he’s back to face the brutal weather once again. For more Yeti updates, follow @BostonYeti2015 on Twitter.